Oodles of painted images simultaneously explain daily life while welcoming readers to indulge in the details. 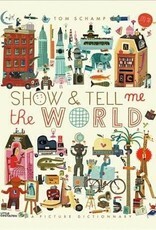 As the pages unfold, Show & Tell Me The World guides readers through the nuances of everyday life. Otto, the young furry protagonist, is seen on every page partaking in various daily activities. The previously humdrum tasks of eating a meal at the table or being tucked in at night are playfully presented alongside exciting episodes of riding in an airplane or attending a concert. The aesthetically entrancing scenes are grouped into categories such as the four seasons, athletics, the arts, a day at school, or even the mysterious and uncharted world below the sea. 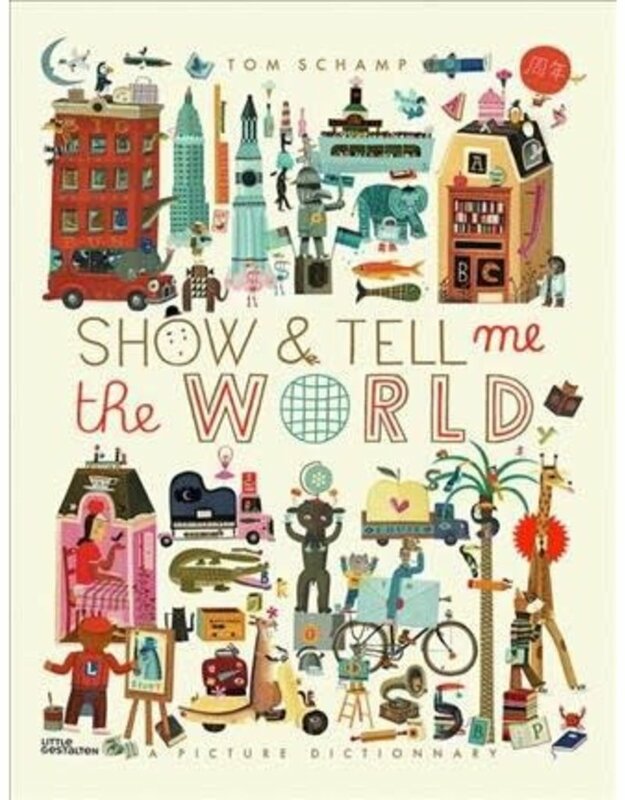 Each page of Show & Tell Me The World is filled with multitudinous details, which illustrator Tom Schamp has molded to suit both his bold style and the ever-unsatiated curiosities of children.